Charlie Winston in Montreal or Quebec City? Inform me about the next events for Charlie Winston. Enroll yourself to our priority waiting list for Charlie Winston to be alerted when new tickets are available. Filling this form doesn't engage you to any purchase. 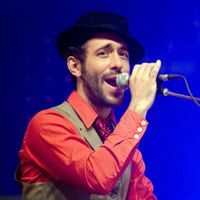 Charlie Winston, English singer songwriter, will be performing at the Corona Theatre, in Montreal, on January 28th, 2012. This gig will be part of a small tour of the Belle Province. Charlie Winston will also be performing in Quebec City, Sherbrooke, Trois-Rivières and Chicoutimi. Charlie Winston's second album Running Still is available in Canada since November 2011.